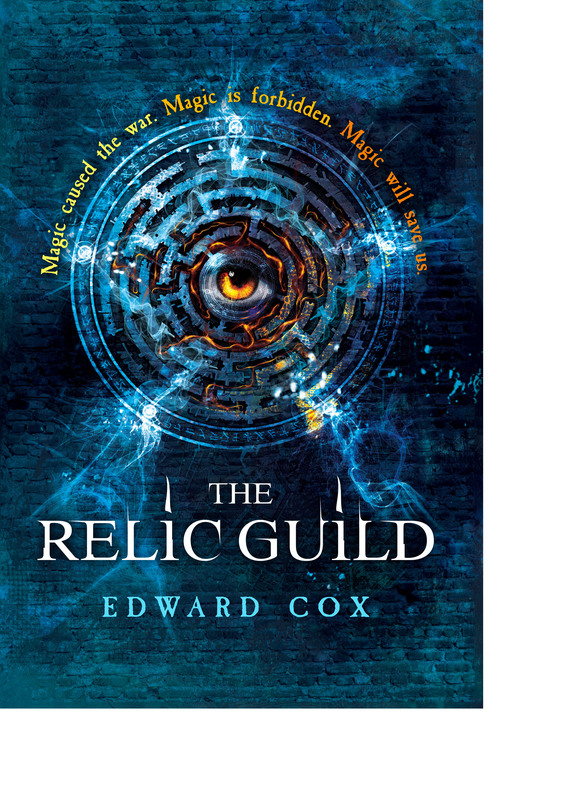 The Relic Guild, the debut novel from Edward Cox, is all kinds of magic: alchemy, illusion, lycanthropy, necromancy, sorcery and thaumaturgy; this book has magic in its DNA. The setting is the city of Labrys Town, a place that exists somewhat out of space and time, located at the centre of a labyrinth that is rumored to extend indefinitely. It reaches into the manifold realms of the Aelfir, ancient and magical beings that used to trade with Labrys — that is, before a great war isolated the city behind an impenetrable wall which few of its current citizens have travelled beyond. Presiding over and protecting the citizenry is The Resident, an enigmatic figure dwelling in The Nightshade, an ephemeral, sentient building from within which he can cast an eye the entire city via the extensive deployment of magical ’globes’ on street-posts, akin to CCTV. This concept is intrinsic to several plot points and is effectively used, questioning whether such surveillance is entirely benign. – a coolly emotionless necromancer who knows more than he tells. Intriguing, aren’t they? (Wait until you read about the crew they are up against…) In fact it is very much a characteristic of the book that no figure lacks colour, no scene lacks substance and no twist lacks spice — the author takes the opportunity to invest everything with something. Stylistically it is a rich brew, not always subtle, sometimes stretching credibility, but always full of flavour. The book’s central device is that the story told in the present alternating with extended flashbacks to 40 years in the past. Flashbacks by nature recall past action, and so often lack urgency but here they are so effectively utilised that the reader feels fully engaged in the moments depicted. The back-story itself is revealing stuff, enriching the present-day storyline with context and motivation. Structurally this was risky, but it pays off throughout: as we see members of the Guild in the current timeline the imminent conflict is already foreshadowed, but having a sense of what is yet to come for the characters heightens rather than lessens the impact, driving the story along. Some might quibble at the ending — a pause-point rather than a conclusion as such, but actually it is beautifully poised for the next instalment: the scales have tipped against the members of The Relic Guild, the delightfully evil Genii (bad guys) have won the strategic upper hand and the Big Bad has yet to put in an appearance — things are going to get worse for our dubious heroes before they get better. Whatever happens next you can bet Cox’s fervid imagination will have surprises in store. Overall this is a high concept fantasy packed with ideas, weird and wonderful characters and a mix of styles, at times evoking noir, urban fantasy, flavours of steampunk (in the depiction of anachronistic technology) and grotesque body-horror David Cronenberg would be proud of. Thought you knew where modern fantasy was at? 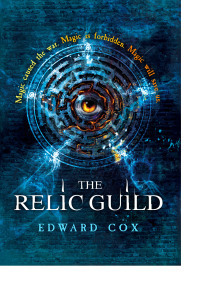 The Relic Guild will challenge your assumptions.